Spirit of the West articles and mentions in the media. A round-up of places we've appeared in magazines, newspapers, blogs and top lists. In cooperation with Destination British Columbia, County Market News published Wishlist-worthy B.C. vacations you can make happen for 2019 and our Desolation Sound Expedition is included. We agree, absolutely worthwhile! A sea kayaking magazine from the UK which we are a partner of. A beautifully illustrated story about Spirit of the West Adventures’ green initiatives in the kayaking industry. Our planet is changing and we try to be on top of things when it comes down to protect the environment we are operating in. We encourage our guests, friends and all other paddlers to have a peek at our environmental stewardship page. 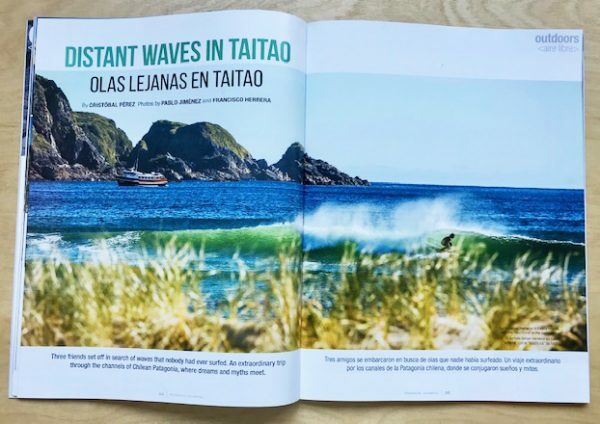 Distant Waves In Taitao is a story featured in Patagonia’s magazine for nature, culture, travel and outdoors. The Chilean mothership Noctiluca which hosts us and our guest each year for our Ultimate Patagonia tours took part in this story about an incredible surfers’ expedition on the remote Chilean coast. 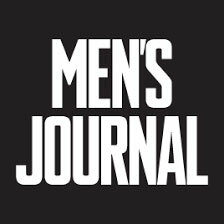 Absolutely worth to subscribe and read! “At times, our silence was only broken by the noisy breathing of the whales.” Dalene Heck, from Hecktic Travels, a professional travel blogger and one of National Geographic’s “Travellers Of The Year”, joined our Whales and Wilderness Glamping tour. She relived the journey in the best possible way- Darlene wrote an absolutely beautiful and inspiring story about her trip. Not much more to say here than, than inviting you to read it and to view her stunning photos. Thank you for sharing and publishing, Darlene. We hope to have you back one day. 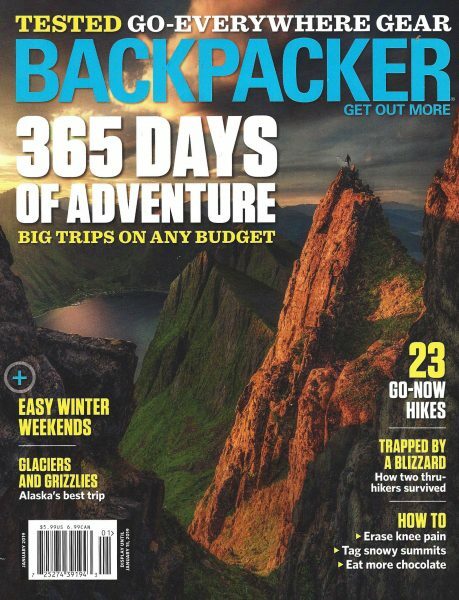 Thanks to Ted Alvarez from Backpacker magazine who joined our Great Bear Rainforest Expedition this past summer. A beautiful and detailed trip post ‘On Canada’s west coast, countless animals—and the occasional kayaker—thrive‘ about our 8-day adventure on the Central Coast of BC. Thank you, Ted! 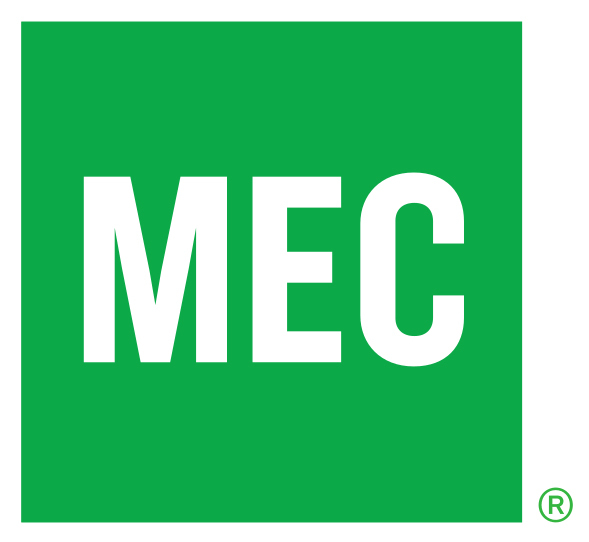 MEC (Mountain Equipment Co-op) does more than provide the gear for awesome adventures! Karen Lai, past guest and friend shares her story of what inclusion means in the outdoor world. The adventure world doesn’t always provide experiences for folks of all abilities. Read Karen’s story about how working together with Spirit of the West Adventures, the support from outdoor retailer MEC and our awesome guides and fellow trip participants came together for an inclusive and unique experience in the Nuchatliz Provincial Park. Thanks, Karen for your willingness to share, teach and experience with us! We’ve done the hard work in meeting the criteria to become a part of the Responsible Travel community. The work was worthwhile as it is important to us to separate ourselves from tourism businesses who do not do as much (or anything) to minimize environmental impacts or contribute to the local community. Please visit responsibletravel.com and learn about their exceptional effort to promote unique, (really) environment-friendly and ethically justifiable adventures all around the planet earth. Thanks to the Responsible Travel team for accepting our application and putting us up on a higher level of awareness to support the good things. We believe this is the right way to go! Will you join us? After another 12 months of travel and 12 months of experiencing some of the world’s best destinations and travel services, the Corporate Travel Awards celebrate innovation and luxury in the travel industry. The Corporate Travel Awards recognize excellence in the travel industry as well as the outstanding service delivered by hotels and travel companies who cater for the discerning corporate traveller. MEN’S JOURNAL presents the 5 Greatest Sea Kayaking Camping Trips In North America. We are more than proud to be among them with our nomadic expedition-style tour through the islands of the Bahamian Southern Exuma Cays. Yeah! Sunset Travel’s list of the best landmarks, restaurants, gear, and more to help adventurers plan their next great western ­adventure. Spirit of the West Adventures won this award with the ‘Whales & Wilderness Glamping tour! LUX Life Magazine has selected us within the 2018 Global Travel & Tourism Awards as their 2018’s Best for Wildlife Tours – British Columbia. 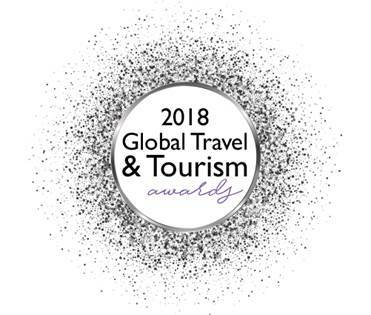 The award has been designed to recognize the companies, brands and individuals who are excelling in the ever-growing industry of travel and tourism – those who go above and beyond to exemplify experiences clients are seeking when looking for their latest adventure. Award researchers- ranging from the very best specialist tour operators to leading independent travel agents and experts in tailor-made holidays. This proven approach ensures that we award on merit, and not popularity, and recognize the very best in the business. Thank you LUX! 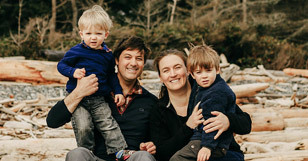 The Remarkable Experience of the Year award by Tourism Vancouver Island recognizes tourism businesses that have enhanced or transformed a customer’s experience in the Vancouver Island region. 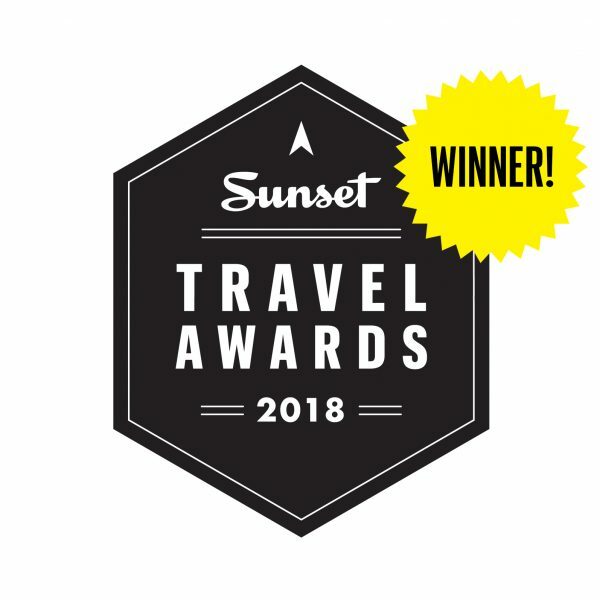 This award recognizes a British Columbia tourism business that has developed, delivered, promoted and sold a new and improved tourism product or experience that reflects the essence of BC and contributes to a remarkable visitor experience. Festivals/events, adventure/outdoor, food and beverage, cultural/ heritage, urban/rural and accommodation experiences may all be considered within this category. 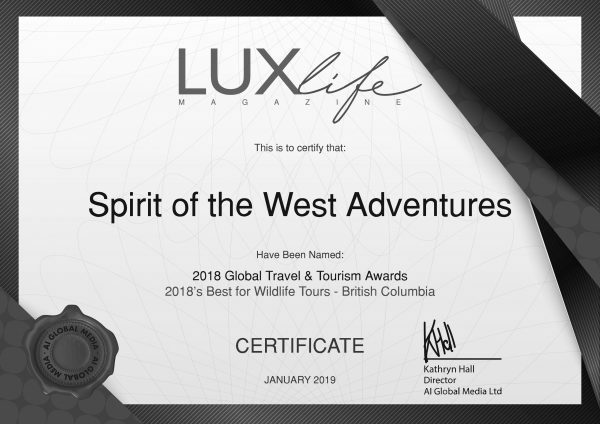 An article from Adventure Travel News about Spirit of the West Adventure and the incredible popularity of our tour which is indicative of larger trends occurring in the BC Tourism Industry. 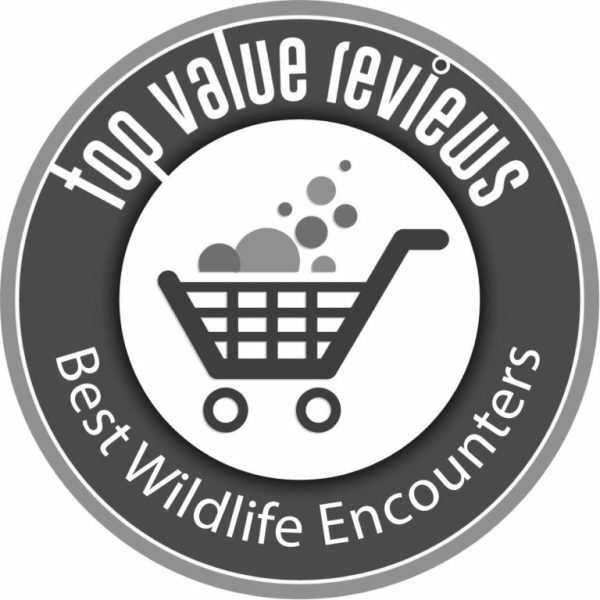 Top Value Reviews elected Johnstone Strait, one of the destinations in which we are operating a few of our tours, for one of the 30 best wildlife areas in North America. We’ve had plenty of couples on our trips (even our fair share of marriage proposals! ), but this is the first time someone has written an article about it! DatingAdvice.com takes you through the ways that a kayak trip together makes for a romantic getaway and some of the ways we can make it special for you (think: private dinners at your tent, flowers on your beds, champagne and strawberries to celebrate anniversaries and more). 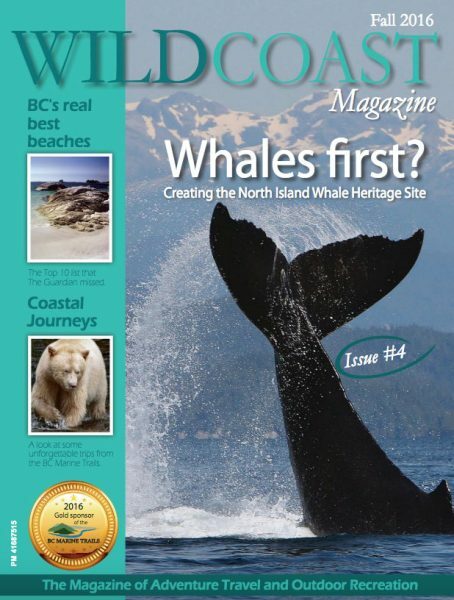 After only its first season, our Whales & Wilderness Glamping trip is already getting noticed! 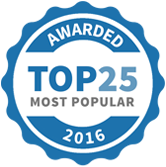 Hand-picked from a select group, we’re proud to be named among the “absolute best”, and in good company with the others on this list. The Huffington Post and the Flight Network did a write-up about the winners too. Our Johnstone Strait Ultimate was featured in this “Dream Trips” list from The Times of London. Via Frontier Travel (UK travel agent). 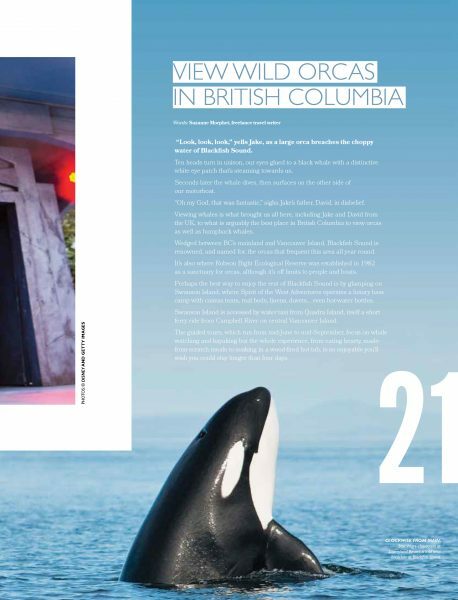 Our Orca Family Tour was listed by Canadian Kids Activities as their most popular activity in BC. A fantastic way to step away from the everyday and spend quality time with your kids in the BC coastal wilderness. Wildcoast Magazine’s list surveys all the gems that you can find on the coast, including those that have no road access and require a boat to get to. The Goose Group, one of the highlights on our Great Bear Rainforest trips, makes the cut (with nearby McMullins Group as a special mention). 2016 Holiday and Tour Specialist Awards by Luxury Travel Guide. 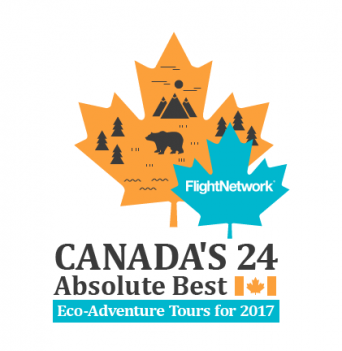 All our BC trips were honoured by being included in this Top 50 in Canada list of Shereen Mohammed – Flight Network. 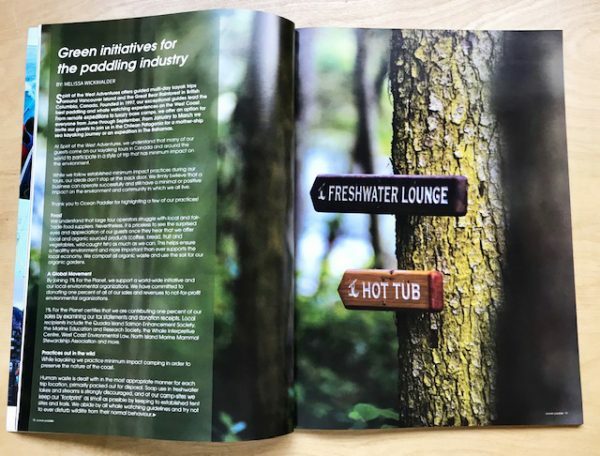 Making lists again in the Canoe & Kayak Magazine! This time as one of the top trips for watching whales. Making lists again! This time as one of the top trips for watching whales. An interview with the filmmaker who directed and filmed our videos, David Hartman. A humpback and orca watching journey on the Johnstone Strait Expedition, including some amazing photos. Nuchatlitz Inlet near Vancouver Island offers great opportunities to view sea otters in the wild. Protecting high use tourism areas from the effects of clear-cut logging. A focus on the culinary experience at our Johnstone Strait Ultimate base camp tour. Winner of 2012-2015 “Best Kayak Tour Company in Western Canada”. Unfortunately, this long-running sea kayaking magazine ceased publication in 2014, after 30 years of advising paddlers from around the world. A regular column on travel experiences in this Australian newspaper, highlighting our Johnstone Strait Ultimate. We (and our trips to Johnstone Strait) were named on their 2012 Ultimate Adventure Bucket List! A detailed exposition on our Johnstone Strait Ultimate. Long-form article describing the author’s experience on one of our Johnstone Strait Ultimate tours.